un.box studio is a collaborative building design studio based in Austin, TX. 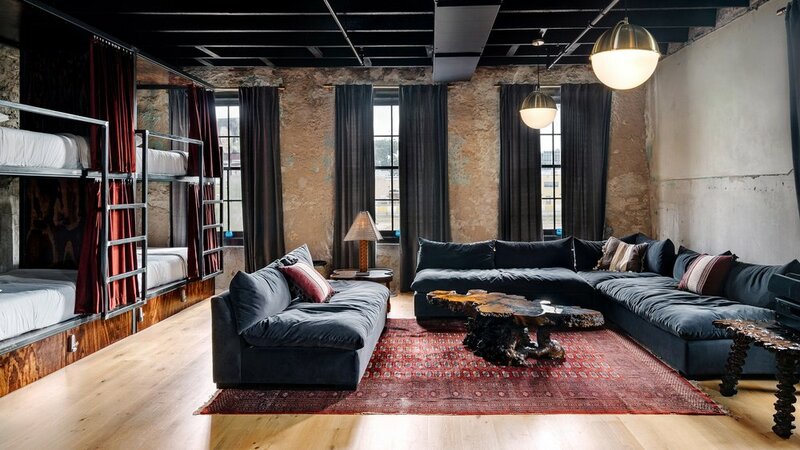 Formed in 2010 under principal Jared Haas, the studio now occupies a converted warehouse space on the east side of Austin, known as the East Side Collective. The studio’s engagement with Austin’s creative community allows it to be an active agent for quality design. We collaborate with our peer disciplines throughout the design process to ensure a streamlined and holistic building approach for the client. Business of Architecture | "The Architecture of Entrepreneurship with Jared Haas and Tim Derrington"
Austin Business Journal | "East Side Collective: 'Where People Go to Try New Things'"
Dezeen | "Un.Box Studio Converts Neglected Stone Building into Progressive Austin Hostel"
Hunker | "A 19th Century Building in Austin is Now a Stylish Hostel and Music Venue"
ArchDaily | "Native Hostel and Bar & Kitchen"
Dwell | "A New Experiential Hostel in Austin Offers Unique Lodging in a Restored Railway Hotel"
Elle Decor Italia | "More Than a Hostel: The Native"
Austin Monthly | "What Inspired the Design of Native Hostel's Bar"
Airows | "Inside a Gorgeous Luxury Hostel for the Choosier Traveler"
Dwell | "Small and Modern: A Family Lakeside Getaway in Texas"
Dwell | "Unique Houses in Austin, Texas"
Dwell | "Tiny Texas Spaces"
Dezeen | "Un.Box Studio Creates Compact Waterfront Cottage in Austin"
Contemporist | "This Small Contemporary Cabin Sits Beside A Lake in Texas"
Culture Map | "This Breathtaking Lake Austin Retreat Takes Weekend Getaways to a Whole New Level"
Tiny House Town | "Cousin Cabana: A Lakeside Getaway in Texas"
E-Architect | "Lake Austin Cabin"
Hunker | "An Austin Professor's Limited Budget Makes for a Creatively Modern Home"
MI | "Case Study: Pocket Patio Door Blends Spaces for Texas Home"